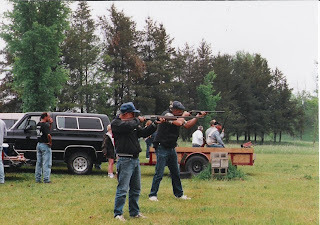 The Monthly Trap Shoots held the first Saturday of each month, is temporarily out of service. We will purchase a new thrower in the near future providing there is enough interest. We will need someone to run it as a Range Officer. These Trap Shoots could be open to the public or for members and guests only. The Range Officer would be responsible for collecting funds for buying the birds, caring for the thrower, setting up games and Shoot dates. Free Dues come with the job of Range Officer if there is enough interest. We have a shooting range that can be used by members at anytime. 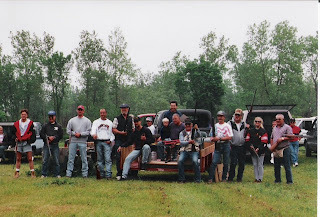 We also host a trap shoot on the first Saturday of each month @ 9am. These shoots are open to the public, so bring a friend. There are no Guest Fees for this activity. Call the range officer Ray Gamber @ 309-696-0172 with any questions. -Members just need to call in their starting time @ 879-2490 & press #2 during the greeting. Then state your name and the time you started at the range. -Targets for Rifles, Hand Guns, and Cannons may only be placed between the two orange posts. No firing in any other direction.